First it was exciting that London audiences were going to finally get a chance to see a full staging of Craig Lucas and Adam Guettel’s The Light in the Piazza, starring Renée Fleming and Dove Cameron, no less. 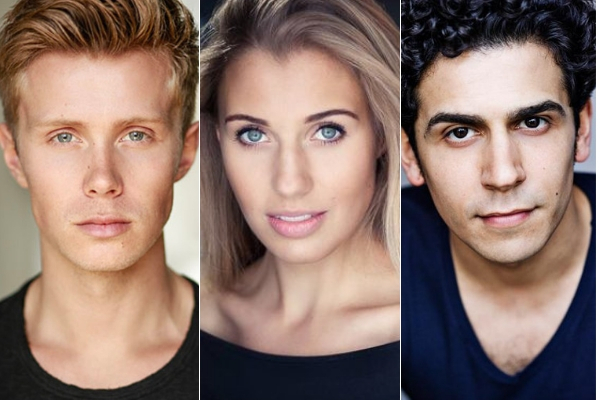 Now the anticipation has intensified with the news that Rob Houchen, Celinde Schoenmaker, Liam Tamne, Malcolm Sinclair and Olivier-nominated international soprano Marie McLaughlin have also been cast in the production which runs for just 20 performances from 14 June to 5 July 2019. Craig Lucas and Adam Guettel’s The Light in the Piazza will be performed in a full staging at the Royal Festival Hall in a limited run of only 20 performances (14 June to 5 July 2019) directed by Olivier Award winner Daniel Evans. The score will be played by the 35-piece orchestra of Opera North under the baton of Kimberly Grigsby, conductor of the original Lincoln Center production. Joining Renée Fleming and Dove Cameron as (Margaret and Clara Johnson respectively) will be Rob Houchen (Eugenius!) as Clara’s suitor, Fabrizio Naccarelli; Celinde Schoenmaker (The Phantom of the Opera) as Franca Naccarelli; Liam Tamne as (Les Misérables) Guiseppe Naccarelli; leading opera singer Marie McLaughlin as Fabrizio’s mother Signora Naccarelli; and Malcolm Sinclair, making a welcome return to the London stage, as Margaret’s husband. The rich singing talent in the company includes Matthew Woodyatt, Rhona McGregor, Tom Partridge, Molly Lynch, Nicholas Duncan, Chlöe Hart, Danny Becker, Monica Swayne and Simbi Akande. Final casting is currently taking place for the featured role of Signor Naccarelli, Fabrizio’s father. Based on the novel by Elizabeth Spencer, The Light in the Piazza has a book is by Craig Lucas, with music and lyrics by Adam Guettel. Set in Florence during the summer of 1953, it’s a touching and heart-wrenching love story. A fateful gust of wind whisks Clara’s hat into the hands of local dreamer Fabrizio Naccarelli and It’s love at first sight. However, Clara isn’t quite what she appears and soon they must all confront a secret that’s been kept in the shadows for far too long. Starring opera superstar @ReneeFleming, award winning actress @DoveCameron & the acclaimed orchestra of @Opera_North. 20 PERFORMANCES ONLY - JUNE 2019.